Over the past year I’ve been involved with The People’s Assembly. Their aim is to bring together all the various groups that are campaigning against the recent austerity measures. There is power in numbers. The most effective campaigns have been the ones involved in Occupy like tactics, rather than the traditional march. We have taken over Market Street on a number of occasions in Manchester. 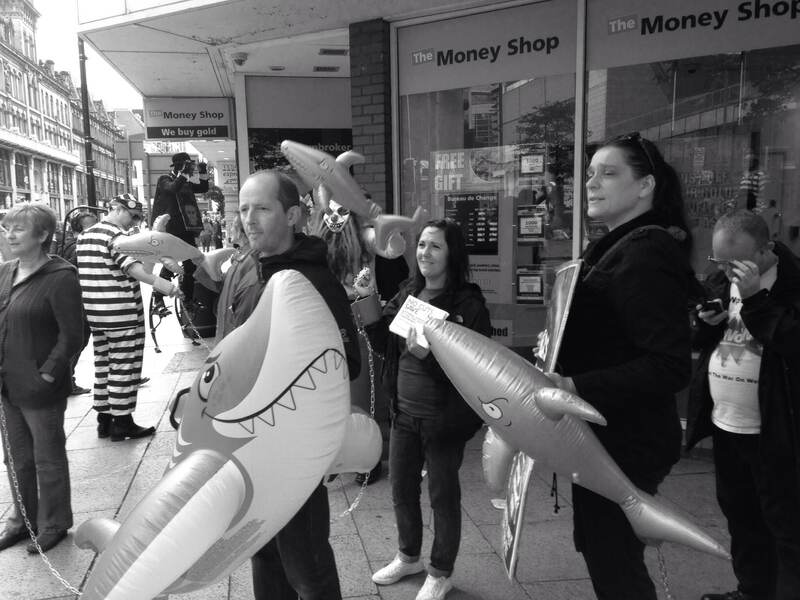 For example, we recently campaigned against Pay Day loan sharks, such as Wonga. The demo was filmed as part of a BBC 3 documentary. The good news is there have been recent limits put on these kinds of companies. 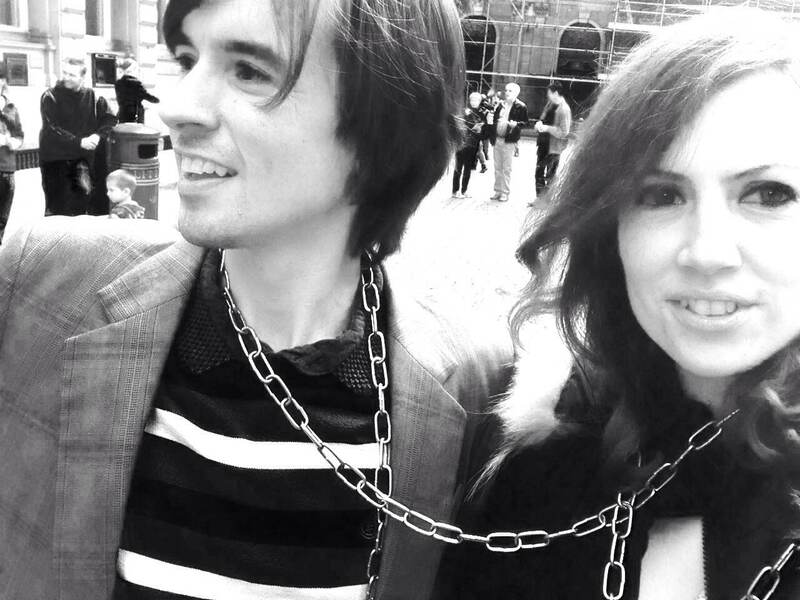 Here is photo of me and Merlyn Taylor ‘chained by debt’, and other activists, including Manchester Occupy outside a Money Shop. There is an ongoing campaign against it, and this is a recent awareness raising event in Mcr, again confusing the shoppers on Market Street: (will insert some photos here).